The southern power Distribution company of Telangana (TSSPDCL) was incorporated as a public company on 02.06.2014 at Hyderabad. TSSPDCL Online Bill payment covers five districts i.e. Hyderabad, Rangareddy, Mahbubnagar, Nalgonda and Medak. All these 5 districts consumers can use TSSPDCL Online Payment portal to pay their electricity bills thru online. 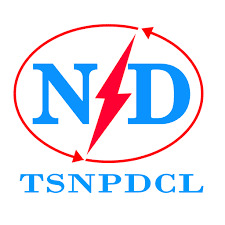 The Northern Power Distribution Company of Telangana (TSNPDCL) is the electric distribution company owned by Government of Telangana for the five districts (Warangal, Adilabad, Karimnagar, Khammam and Nizamabad) with Warangal as the headquarters. All these 5 districts consumers can use TSNPDCL Online Payment portal to pay their electricity bill thru online. Both TSSPDCL and TSNPDCL supplies quality power at economic rates is highly needed for Telangana to attract more and more projects in all service sector industries.